My friend and “little brother,” Pius Adebola Adesanmi died in the Ethiopian Airline crash. I now have this image of Pius in his last moments summoning the psalmist to guide him home, through the mist of ancient nights, to immortality. That’s how I read that epigram from the psalms, the last message he left for his family and friends on his Facebook page as he boarded that plane, or possibly, as he sensed its fiery descent. But it all begins to make sense now. Pius was one of those special, restless, flighty beings, who somehow sensed that he had very little time on earth, in this incarnation. So he lived in a hurry. I quickly sensed his restless energy the very first time we met, and we became instant friends, introduced by his cousin, my pal Dr. Sanya Osha, whom we all called “Horrendous,” and who had just left his reporter’s gig at May Ellen Ezekiel’s Classique magazine, to return to the Ibadan Graduate School of Philosophy, for a Masters degree in Philosophy. Pius himself had come to Ibadan too, after a First at Ilorin, to study for a Masters in French. I was already at the Vanguard, doing what I thought were important things, and undecided about whether to go to Ibadan for graduate school in Literature, or to the Columbia School of Journalism, for a Masters degree in Journalism. We were all young and restless, and under the fog of poetry and the writerly life. It was in the mood of the Lagos literary revival of the middle 1980s to the late 1990s, which wanted to re-enact the Mbari movement of the 1960s. We had gathered in Lagos after university, working in journalism, some in advertising, and some in dead-end hustling: Uche Nduka, Ogaga Ifowodo, Toyin Adewale, Maik Nwosu and his muse, Angela, Afam Ake, Ike Okonta, Nduka Otiono, Akin Adesokan, Unoma Azuah, and so on. Late nights sometimes found us crashing at the home of the poet Odia Ofeimun in Ikeja, arguing late into the night, but sure of a warm mug of coffee in the morning. Tyranny, the sort imposed on us by military dictators, gave an edge to our sorrows, and fatalism to our quest for pleasures. 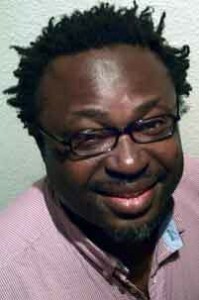 And we often used to say, in perfect tongue-in-cheek to the poet Chiedu Ezeana, “pleasure will ruin you.” Lagos was socially intense, and Ibadan became our redoubt of solitude. And there we met them – the “Thursday Group”: the late Sesan Ajayi, the two “Rajs” – Remi Raji, Wunmi Raji – Chiedu Ezeana, Emevho Biakolo, Lola Shoneyin, Nike Adesuyi, Onookome Okome, Sola Olorunyonmi, God Ede, Sanya Osha, and Pius Adesanmi, who gathered around the poet and critic, Harry Garuba. Their haunt was usually the bar of the SUB. There was intense fornication and drinking, as well as intense writing and “discourse.” Pius was easily the youngest amongst us. He was bold, brilliant, and lovely. He had fallen in with the French scholar, Georges Herault, then director of IFRA at Ibadan, who loved him, and lived with him on Crowther Lane, on the campus of the University of Ibadan. Pius had commandeered Crowther Lane for our entertainment. His hospitality was boundless. Sometimes we crashed there. Sometimes he staged incandescent parties when we visited, and this salon-like atmosphere persisted until our dispersals: he to Canada, where he studied for his doctorate in French and the Romance Languages at the University of British Columbia, where he was a Killam Fellow. At the end of his doctorate, he first taught Comparative Literature at Penn State University, in College Station and, in quick steps, he was appointed Professor of African Literature and Director of the Institute of African Studies at Carleton University, Ottawa, from where he continued to make his marks, until he took flight – this final flight. Pius was imperfect. But it was that imperfection that made him lovely. He could hold long grudges, and then in one moment of exuberant good-naturedness call you up, first curse you out, and then hold long catch-up talks that buried every grudge once and for all, until another moment of quarrel. His disagreements never went deep with roots. Two years ago, after he and I had engaged in one long stretch of silence, over what now can only be considered a meaningless, pointless ego-tripping on both sides, Pius called me up one day and, after berating me with his usual “attack-and-follow” style, said, “You foolish man, I don’t want to leave this earth without talking again to you….” And, sadly for me, that was my last conversation and contact with my brother, Pius. We’d again relapsed into the silence of self-induced distance, drawn into different directions by busy careers, domestic obligations, and public obligations. Pius tells the story of taking his driver to dinner in one of the exclusive “capitalist” redoubts in Lagos – a restaurant that catered to the well-heeled cats of the city and their pretentious paramours. I can now just see Pius having fun, “belching loudly and drawing satisfaction from the disapproving looks,” deliberately pushing the buttons of the “Ogas at the top, and their accent-forming sophisticated mistresses” and generally, deliberately “violating” their self-sanctified “spaces” in the normally extremely hierarchical, pretentious, class-conscious stuffiness of Nigerian “high-society”, particularly its Lagos expression. That was what we did, whenever we met: push buttons and have uproarious laughter! He was a Satirist. His book, Naija No de Carry Last, bears testimony to his predilection, as well as his columns in the Sahara Reporters, on which he made mincemeat of social pretentions and political cant. Pius chose Satire as his mode of expression, primarily because he loved to laugh. But more so because it gave him a mask. And he wore masks: he was an only son, of parents who were educators, and who enforced discipline, and gave him “no quarter to misbehave” as he used to say, more so because he was an only son, with sisters who spoilt him rotten. His sense of measure came from this upbringing. His late father, himself educated in Canada, where Pius ended up making his new home, was a notable educator, who served as a famous principal of Catholic Grammar Schools in the old Kwara state, like the St. Barnabas College in Kabba, and the Titcombe College, Egbe, founded by Canadian missionaries, which Pius himself had attended. He discovered his love of books and language in his father’s library, and he was seduced by large ideas, and complex concepts. Pius was complex: as I said, he could be impatient, and he could hold long grudges, and was like me a little cocky, and not unaware of his great gifts and immense talent. But he was also kind, large hearted, and generous, and amused. He was bicultural and worldly, cosmopolitan and wholly, open-minded. Beneath his cosmopolitan mask were two important spiritual anchors: although he had grown increasingly secular and agnostic, Pius at heart was still an altar boy, drawn to his Christian, Catholic upbringing. He was modulated by that quest for complete meaning and rebirth, whether in the ontological sense of it, or in its purely symbolic sense. O Pius! What a way to go. Your escape was fiery, and it has left your mother, Olayinka, swollen with tears, and us, your brothers, alone, looking skywards at your path of Thunder. 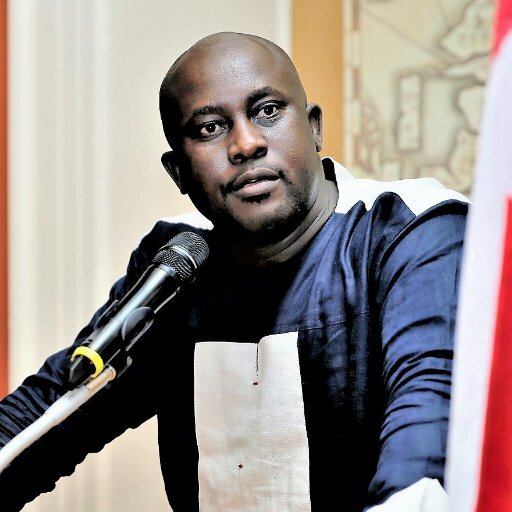 Pius Adebola Adesanmi, my brother and friend, when you return, stay longer, lick slowly the hot soup of life. Still somehow, I think, Pius has done his last duty to men: perhaps his death is sacrifice, made to save more lives as attention is now drawn to the tragic flaws in the design of the plane that took him home. He whom death missed last year on the Nigerian roads could not escape its claws in the sky. Rest my friend. There are no more tears left in my eyes.